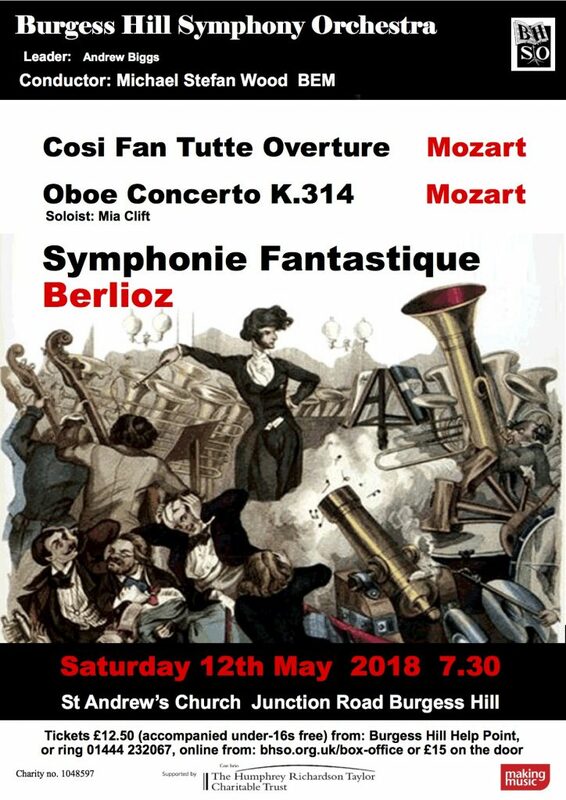 On Saturday 12th May 2018 at 7:30pm Burgess Hill Symphony Orchestra presented their Spring Concert at St. Andrew’s Church, Junction Road, Burgess Hill, RH15 0LG. Berlioz’s mighty Symphonie Fantastique was described by Leonard Bernstein as the first musical expedition into psychedelia because of its hallucinatory and dream-like nature. Our very own Mia Clift performed Mozart’s Oboe Concerto K314.